D. Thomas Lancaster started this second lecture in the series by taking me more than a few years back into my own history in the Hebrew Roots movement. He said that when he first became involved in Messianic Judaism, even though most people in his group didn’t know Hebrew, there were a few “Hebrewisms” that everyone was expected to observe. Although some of my readers are scrupulous to use these “Hebrewisms” when emailing me or commenting, even though they may not be well-versed in Hebrew (though a few are quite proficient), some of them probably feel they have to follow this sort of “Messianic Political Correctness speak” in order to be acceptable or perhaps they feel they’re correcting past wrongs and, after all, Messianic Gentiles and Hebrew Roots Christians don’t want to sound too “church-y”. I covered some of this territory in last week’s review but Lancaster adds more detail in today’s sermon. Once the people agreed to the Covenant, then Moses initiated it. This formally sealed the Covenant relationship between Israel and God. If you look at verses 9 through 11, you’ll see representatives of Israel having a meal in the presence of God since, in last week’s lecture, Lancaster said it was traditional behavior among two human parties, such as a great King and a vassal nation, to share a meal after a treaty had been settled. The actual Covenant was the agreement between God and Israel, and Israel, for their part, were responsible to obey God in order to hold up their end of the bargain. But how? That’s where the Torah comes in. It defines the specific conditions and stipulations that Israel must obey. However, there’s a problem. Israel’s obedience was rather poor. In fact, the first time they disobeyed was very soon after their initial agreement by building the Golden Calf (see Exodus 32). After that, the Covenant had to be renewed and it was renewed many times. But Israel, sadly, fell into a pattern of disobedience and sin. As part of the Covenant conditions, if the people obeyed, then God would be their God and they would be His people, but when they disobeyed, He ceased to be their God and they ceased to be His people. Then God sent an army and great destruction usually happened, sometimes with the people going into exile. Once they cried out to God and repented, God would send a rescuer, defeat Israel’s enemies, and restore the people to their Land. And this happened over and over again. The Book of Judges is a good chronicle of this but the pattern is recorded in much of the Tanakh (Old Testament). I mentioned that a lot of New Covenant language is found in Jeremiah 31 and Lancaster said that we need to understand the context of Jeremiah to get this. In Jeremiah 3:1-5 we see Israel depicted as an unfaithful wife, and in spite of many calls to repentance, such as in verses 6 though 25, Israel remains uncaring and God sends the armies of Babylon to destroy Jerusalem. But amid this tragic tale, Jeremiah introduces hope in the form of a future redemption, but one like Israel had never seen before. Now remember, the conditions of the Covenant are not the Covenant itself. The conditions of the Old Covenant are the Torah, but Jeremiah isn’t saying that the conditions are what’s new, it’s the Covenant that’s new. What’s so new in the New Covenant? 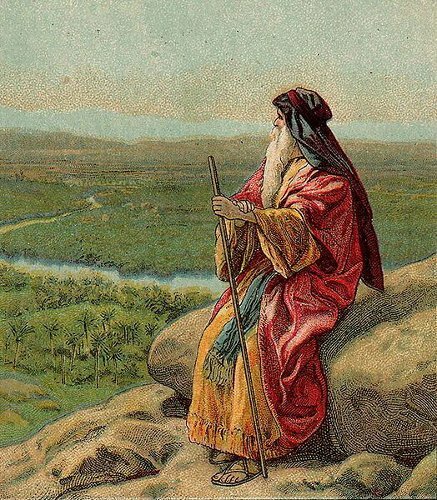 In the Old Covenant, God spoke the words of the Covenant to Moses who spoke them to Israel. Israel agreed and everything was written down on scrolls or tablets and the people were to refer to those conditions to, first understand what they had agreed to, and then to actually do what they’d agreed to do by performing the mitzvot. In the New Covenant, instead of doing all that, God writes the conditions of the Covenant on the hearts and puts them in the minds of the people of Israel and then it becomes second nature for them to obey. 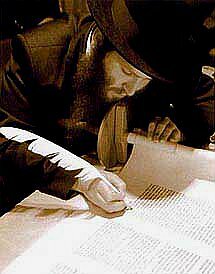 The Torah conditions are internalized rather than being externally referenced. The Old Covenant was written on scrolls and the New Covenant will be, or is in the process of being, written on human hearts and human natures. But the conditions are the same. I know what you’re thinking. You’re thinking if Gentiles are also benefiting to the New Covenant through faith in Jesus (Yeshua), then are those same conditions being written on our hearts as well? In the Torah is there a condition for Gentiles to circumcise their males on the eighth day of life? No, that requirement is only for the physical descendants of Abraham, Isaac, and Jacob. Gentiles are exempt. I’ve said before that the Acts 15 decision formally spelled out the conditions that Gentiles are responsible for carrying out, and it’s only through the blessings of one part of the Abrahamic covenant that the nations are attached to the New Covenant at all. Jews already knew the conditions that applied to them because they were the same ones established by the Sinai (Old) Covenant and they never changed. But Jesus has now obtained a more excellent ministry, and to that degree he is the mediator of a better covenant, which has been enacted through better promises. For if that first covenant had been faultless, there would have been no need to look for a second one. It’s scriptures such as this that Christians use to prove that the Old Covenant was replaced by the New, but look at what the writer of Hebrews is actually saying. As he is about to quote from Jeremiah 31, he says, ”God finds fault with them (emph. mine)…” He doesn’t say God found fault with it, that is, the Old Covenant, but with them, with Israel, with the people, because they didn’t obey the conditions of the Covenant because of sin. The solution wasn’t to change the Covenant but instead, to change the people, so it would be possible to fulfill the conditions of the Old Covenant originally spelled out at Sinai. The New Covenant (and not renewed) is a new method of delivery and institution so Israel will be obedient by design. So how did we get into the mess we’re in as Christians today? How did this get screwed up? According to Lancaster, the Church Fathers in the second and third centuries CE knew that they didn’t have to keep the conditions of the Old Covenant as did the Jews but they didn’t know why. The Apostles taught that Gentiles had a different (and somewhat overlapping) set of conditions but once the last of the Apostles died, the Gentiles made a few assumptions (or perhaps a few deliberate errors to serve a specific purpose, but that’s my opinion). Lancaster said these Gentile Christians assumed that everyone, Jew and Gentile in Jesus, kept the Gentile standards of obedience, and the Gentile Christians actually criticized (and later persecuted) Jews for not abandoning the “Old Covenant” conditions. The other shocker for some Christians is that we aren’t really living in New Covenant times right now. Sure, the death and resurrection of Jesus started a process by which the New Covenant era began to arrive but it’s not fully with us yet. Otherwise, we wouldn’t sin. Otherwise the conditions of the New Covenant would be written on our hearts rather than in the Bible and we would all just naturally obey God. Sadly, I must confess that I do not naturally obey God. I have to struggle with obedience. Chances are, you do, too. It will only be when the New Covenant Era fully arrives that we really will be “new creatures” and “new creations”. We aren’t there yet. We’re a work in progress. That doesn’t stop you and me from repenting now. Why wait? Messiah is coming. If my reviews are piquing your interest, you can find the complete, five-disc set of Lancaster’s New Covenant lectures at First Fruits of Zion. I’ll review the third lecture next week. For more on this topic and how historical and modern Christianity has misunderstood the New Covenant, see my blog post The Two-Thousand Year Old Christian Mistake. Previous PostSubbotniks, Proselytes, and Messianic GentilesNext PostShould We Get Rid of Paul? Their approach to rightly dividing the Word is Acts 28. Honestly, the Hebrew Roots has helped develop my understanding but they, too, seem to swing the pendulum to far in some cases, IMO. Save this review as it’s going to be EXACTLY the same for the Hebrews sermon series #30. 😉 Nice job as always. @Cynthia: I think there is a great deal we Gentile believers can learn by studying through the “lens” of Hebrew Roots and/or Messianic Judaism, but I also believe that anyone can take it too far. That’s why we must always return to scripture and be willing to set aside comfortable interpretations for those that seem to make sense, even if they’re not always taught in church. Paul repeatedly states that he did nothing against the Jewish people or the customs of their forefathers, but was willing to be bound in chains for the sake of Israel, even though Jewish leaders objected to the idea of Paul being released from incarceration and the death penalty. Paul was innocent. He never betrayed his people, the Temple, or the Torah and he never taught against them. Even when wronged, he maintained his love for Israel. It’s very sad the most churches teach the opposite of this about Paul. The pastor of the church I attend gave a sermon on Sunday and began with “Old Testament and New Testament” are better translated as “Old Covenant and New Covenant.” Then proceeded to preach a replacement theology sermon. Rough one for me. He and I have had a few discussions on the differences in our beliefs. Both of us respectfully disagree and just find ways to work around it, although, for me, it gets increasingly harder to sit through sermons like that one. I really struggled with his use of 1 Peter 2:9, claiming that we, all Christians, and not Israel are now the chosen race, royal priesthood, and holy nation that Peter was talking about. He claimed that Peter was writing to Gentiles. I just about fell over in my chair because, to me, it is glaringly obvious that in 1 Peter 1:1, he is addressing Jews that were in exile, living in the Diaspora. As soon as I was home, I did a quick little internet search on “the audience of 1 Peter” only to find that many evangelical Christians consider this to be written to Gentiles. I have sat in his office and discussed the new covenant with him, reading from Jeremiah 31 and Ezekiel 36. Clearly this is a new covenant with Israel and Judah (which I believe will be united as one, but is a whole separate discussion). However, regardless of the clear scripture to point towards this new covenant, this pastor is firmly planted in the idea that the use of Israel in regards to the new covenant is symbolic for “The Church.” Capital ‘C’ there is on purpose because that’s how it is referred to in replacement theology. I am thankful for the internet resources I have found, like this blog, that allows me to connect with like minded people willing to have open discussion, and perhaps even disagree at times, but still are interested in finding truth and digging deeper. I know what you mean, Terry. The Pastor at the church I attend said that the New Testament is the same as the New Covenant. I also pointed out the New Covenant language in Jeremiah 31 and Ezekiel 36 but that didn’t seem to make much difference to him (though he thankfully didn’t say that the Church has replaced Israel). To me, “the Church” seems to have taken on a life of its own, one it was never intended to have. Yes, there is a body of believers in Messiah but that body of made up of Gentiles who have come alongside Jews in Messianic faith. An ekklesia is just an assembly of people who have come together for a common purpose and so “assembly” is probably the better translation. “Church” implies something radically new and different from what the ekklesia of Messiah originally was, in my opinion, and is part of the Christian refactoring of the meaning of New Covenant. This blog has long been a reflection of my own journey and I’m coming to a point where I am understanding things better than I did before. I’m glad it has been of some service to you as well. What a way to start my morning! I am seeing and experiencing the community in Yeshua as, I believe, it is intended to be. As a gentile, I am to be an ambassador for His Kingdom. 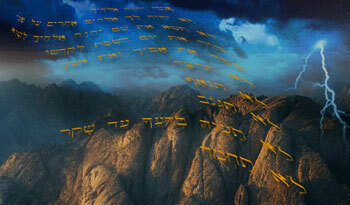 Jewish believers do not give up their priestly calling in Yeshua. We have the same head, but different functions. How refreshing! We are sharing similar understandings, yet not as a ‘cult’ following of one man’s teaching, but all of us from different backgrounds. I also feel the Jewish believers have a special insight into the scriptures. Maybe it comes from being immersed in it all their life. I really enjoy this blog. May I share another site this group may find interesting? elijahnet.net It isn’t a blog, therefore there is no exchange, just another source. Thank you, James, for your blog and the work you put into it. Thank you, to all that comment and express yourselves so very well. I agree that sanctification is process that will not be completed until we become glorified, but, how, in light of 2 Corinthians 5:17 where Paul says, “the new creation has come: The old has gone, the new is here,” can you suggest that we will only be new creatures once the New Covenant Era fully arrives? From what I understand, Paul is preaching a present-tense newness that could be likened to a new leaf that bursts forth in springtime. This new leaf is completely new; it has never previously existed, and it is completely unique (not a reincarnation of last year’s model). Same thought with Galatians 6:15’s “new creation” (and followed in verse 17 where Paul says, “from now on…”), and Ephesians 2:15 “one new man.” These sound as though they are a current reality. What have I missed? I think the distinction you’re looking for, Aviyah, is the difference between getting a taste of something and the fullness of satisfaction after finishing the full meal. If we were fully “new creations” now, what need do you think there would be for the transformation described in connection with the “rapture” when the Messiah returns, when the corruptible puts on incorruptibility and the mortal puts on immortality? That is not to deny the newness of perception and motivation that can be experienced already, but it does point to something greater that is yet to come. We are new creatures in Christ but we have to consider the Messianic Era as having come but not yet here. I know it’s confusing and we can live as if the Messianic Era were here, but if you read the New Covenant language in Jeremiah 31:31 and the following verses, do you really think the Law of God is written on our hearts yet? Are we without sin? Are we beings, even the best of us, who only live to do the will of our Father. I can’t just take Paul’s statement in isolation. I have to compare it with the other relevant parts of the Bible. Yes, as far as I can see, Paul was speaking in the present tense and if anyone besides Jesus could have accomplished it, Paul did live for the sake of God, but even he admitted that he did what he didn’t want to do and failed to do what he wanted (Romans 7:15) indicating that he still sinned. The death and resurrection of Christ inaugurated the Messianic Era but that’s only getting the ball rolling. It’s a process that won’t be completed until the return of Messiah. We Christians are also a work in progress, so to speak. I think I understand where you (James) and PL are coming from. (I went ahead and ordered the CDs from FFOZ for good measure!) It appears as though we both view the Messianic Era as a transitional period of time in which we await the fullness of all things. While in transition, you would say that because we still sin, we are not yet new creatures, new creations. However, I would say that our righteousness, which is from faith, makes us new creatures, new creations now. 2 Corinthians 5:21 says that God made Yeshua “who knew no sin to be sin on our behalf, so that we might become the righteousness of God in Him.” What I glean from this is that I am as a child who is born. I am no less human at birth than I am as a teen, adult, or senior. I have simply matured. And, when I was born of Yeshua, as Philippians 3:9 says, through my faith in Yeshua, the righteousness which comes from the Lord is imputed to me (just like Abraham). In other words, in the heavenly courtroom of YHWH, I can stand blameless because of Yeshua, and by my faith in Him, YHWH sees me as innocent. Full stop. I would not be innocent if Yeshua had not paid my debt. By faith, I receive this gift. Therefore, I understand a sinner to be one who refuses this gift by faith – he is not covered by Yeshua. He has not been born of YHWH. He is an old (fallen) creation, because the new has not been received. At the time of repentant faith, I understand a great exchange takes place wherein the sinner puts on the righteous of YHWH, and becomes a new creation. PL, to answer your question, “what need do you think there would be for the transformation described in connection with the rapture, when the corruptible puts on in-corruptibility and the mortal puts on immortality?” I agree with you, it points to something greater, and I cannot wait for that day! When Adam and Eve sinned, I believe, by His mercy, our DNA was compromised bringing death and decay. Since we have been subjected to a fallen estate, and have experienced the consequence of our own sin as well as the sins of others, we have need of incorruptibility. Also, YHWH said no man can see His face or they would die, but when we live eternally with Him, we will no doubt see Him, so we will need immortality. I have one minor clarification of terminology to offer you, Aviyah — The phrase “messianic era” is a recognized Jewish term referring to the period when the Messiah ben-David actively will be reigning from Jerusalem. It does not refer to the current age nor to any transitional period. It thus corresponds to what some Christians call the “millennial kingdom”, which will not occur until after the virtually simultaneous occurrence of the first resurrection and the rapture (viz: 1Cor.15:51-52; Rev.20:1-5; & 1Thess.4:13-18). In the life of the current age we may experience no more than a foretaste of what is to come, by means of the adjustment of our attitudes and perspective that enables us to perceive this foretaste of the kingdom. Because of the metaphorical sacrifice of Rav Yeshua as the Messiah ben-Yosef, we have a promise that virtually immediately after our departure from this life (absent from the body) we may participate in the first resurrection (unless we’re still here and the rapture sweeps us up to join them), after which we will experience the fulfillment of the messianic promises in the messianic era (and present with the Lord [viz:2Cor.5:6-10]). Until that blessed fulfillment, we are to be in a process of obedient learning from the messiah’s teaching and example, but we are not yet in the messianic era. As for discussion of the roles of faith and action in accomplishing the gracious promise of the salvation that results from reliance on Rav Yeshua’s righteousness, that would require an entirely separate, fresh discussion rather than the present topic about the meaning and application of the “new” covenant. Aha. Thank you PL. So, “Messianic era” and “millennial reign” are one and the same. I appreciated how you had described in the tasting versus being fully satisfied after eating an entire meal. This makes sense to me. I see I don’t have a full grasp of the Jewish concept of the Messiah… I have heard about the ben-Yosef/ben-David understanding, but I have not studied it. Would you be able to point me to one of your resources for this? Also, why do you refer to Yeshua’s death and resurrection as “metaphorical” as opposed to literal? @Aviyah — I did not say that Rav Yeshua’s execution, death, burial, and resurrection were metaphorical — they were all too physically real. I said that the sacrifice was metaphorical. Literal human sacrifice would be contrary to Torah, as HaShem made abundantly clear to Avraham avinu when he attempted physically to sacrifice Yitzhak in response to a dream command from HaShem. The angel of the LORD explicitly called out from the heavens to stop Avraham at the last possible instant, and provided a ram in place of Yitzhak. A physical sacrifice outside the Temple also would be contrary to Torah. But Rav Yeshua’s sacrifice was a metaphorical one, thus it could be received in the non-physical sanctuary of the heavens that was originally shown to Moshe on Mount Sinai as a pattern for the earthly Tabernacle which later morphed into the Temple. These two sanctuaries operate in parallel whenever an earthly one is in existence; and if the earthly one is defiled or destroyed the heavenly one continues to operate, since it is incorruptible (i.e., indestructible). We are reminded also in the letter to the Hebrews that Rav Yeshua was not a Levite or a Cohen, hence he was never eligible to administer a physical sacrifice in the earthly sanctuary. Only in the metaphorical realm of the heavenly sanctuary could he be honored as a priest in the midrashic pattern of Melchitzedek, offering the metaphorical sacrifice symbolized in his martyrdom. The distinction between two separate roles that appear in messianic prophecies: one a suffering servant who would die because of Israel’s shortcomings, and the other a conquering king who would restore the Israeli kingdom and rule over the entire earth, impelled the rabbis to call them by different names that reflect their respective services. Yosef was the biblical character who was rejected by his family and who suffered because of his brethren and also at the hands of (Egyptian) gentiles, who later becomes the redeemer of the known world of his era. Because the role of the suffering redeemer so matched this pattern, he was called the ben-Yosef Messiah. And because the other role was that of the ultimate reigning king, he was called the ben-David Messiah. The general rabbinic view is that these are two separate men, because obviously the King Messiah who will reign for a thousand years can hardly be expected subsequently to suffer and die on behalf of the already redeemed and perfected nation that he has been ruling. And who could imagine that a single man could suffer and die and then serve as a victorious king? That hardly seems a sensible interpretation of the prophecies! It is only with hindsight knowledge of the unexpected occurrence of a special resurrection that such an interpretation begins to be possible. Only thus could Rav Yeshua’s disciples ask him, after his resurrection, if the time had come for him to restore the kingdom. They were looking for the impending fulfillment of the remaining ben-David messianic prophecies by the man they knew to be a suitable candidate as a descendant of King David. Regrettably, we can now say with clear hindsight, there was yet to be a delay of more than two millennia before that fulfillment. Aviyah, I’m glad you ordered the discs. Given that I’m writing reviews, I don’t include all of the details of Lancaster’s teaching and to get the full impact of his teachings, you’ll need to hear them for yourself. I hope that you’ll be able to see the connections Lancaster makes in scripture that constructs an understanding of the New Covenant that is much more consistent with the entire, panoramic landscape of the Bible, telling one story of God, Israel, and human beings that is internally consistent and that doesn’t require a mid-course correction, so to speak, between the Tanakh (Torah, Prophets, and Writings) and the later Apostolic Scriptures. As Lancaster says, we are still in “Old Covenant times.” The death and resurrection of Messiah inaugurated the New Covenant, but it has hardly reached fruition as of yet and won’t until Messiah’s return. Until then, who we are as “new creations” and the indwelling of the Holy Spirit are a sort of down payment or pledge that guarantees the promise that is to come, the Messianic Era of justice and peace. James – I am SO please with how you have described the teaching, and I can’t wait to dig in! The meta-narrative of the entirety of scripture is the sine qua non of my faith. Again, thanks for your thoughts!